If you have a dental cavity, our Scarborough dentists can fix the damaged tooth with white (porcelain) or metal fillings. If you are suffering from a decayed, cracked or damaged tooth, our dentist may recommend a filling. We offer both porcelain fillings and metal composite fillings to suite your individual needs. It's important to take care of any cavities before they become bigger and possibly infected, which can lead to an abscess requiring a root canal, or might even damage the tooth beyond repair. 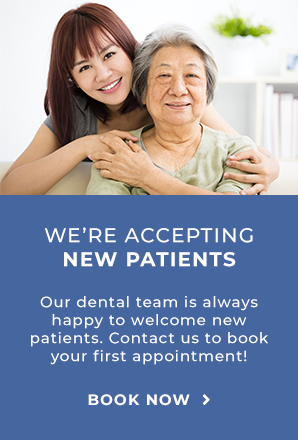 First, your dentist will remove the decay in the tooth and clean the area. Then they will seal the tooth with the dental filling. Once that materiel has hardened, they will adjust the filling to fit your bit and make sure it's comfortable. White filings are made with a porcelain composite material that matches the colour of your natural tooth. Metal fillings are generally a stable alloy, or mix of metals, made with mercury, silver, tin, copper and other metals. Metal composite fillings are a very cost-effective material that is a good option for the back of your mouth where they are less visible.